It was an exciting time for Riverside Church in Big Lake, Minnesota. Hundreds of people were coming to faith in Christ and the church was growing. It was growing so fast, in fact, that there was no room for more people. Senior Pastor Tom Lundeen and the elders knew they needed to build. They just didn't know what to build and had no idea how they could pay for it. They still owed a $750,000 debt from their last building project and a tenth of their budget was going to mortgage payments. Plus, their staff was stretched to the max. More than one staff member was flirting with burnout. Yet, there was no money to hire desperately needed staff. Riverside was at a crossroad. Either the church would find ways to meet their needs for space and staffing, or it would quit growing and probably shrink. Of course, this wasn't mainly about the numbers. These new attendees were people who were becoming followers of Jesus and entering into the life of a vibrant church family. Unless Riverside could discover creative ways to do more with less, spiritually hungry people would remain hungry. Fast-forward nine years. Riverside's average attendance has more than doubled from 690 to more than 1,500 today. Most of that growth, about three-quarters of it, has not come through evangelism. The church is debt-free and has been for years. The 10 percent of the budget that had been used for debt payments has been repurposed for staffing. The church is healthier than ever. And amazingly, even though the leaders were convinced nine years ago that they were out of space, all this has been accomplished without adding a single square foot to their building. Today, Riverside truly is using all its available space and is getting ready to launch a second campus so that the church has room to keep welcoming more people. How has all of this been possible? When Riverside found itself at this bewildering crossroad, the senior pastor and elders called on Living Stones Associates, a church consulting team, to help them come up with solutions. Riverside had already gone to two worship services, and both services were full, so Riverside's leaders all knew—or thought they knew—that they had no option but to build a larger worship center. But that wasn't the end result. At the consulting team's suggestion, they converted their fellowship hall to a video café, creating a second worship venue where people could join the worship service via video. A challenge was that there was just a six-inch wall between the worship center and the video café, making it impractical for the video café to have live music. Leaders of other churches warned Riverside that a second worship venue without live music wouldn't work, but Riverside had no other option, so they tried it anyway. The video café has three large screens on the wall so that worshippers can experience the music and teaching from the room next door. At first, the leaders were concerned that people might see this room as "overflow," second-rate seating. But that concern was soon put to rest when, on the first blizzard Sunday when attendance was so low that everyone could have easily gathered in the main worship center, 75 people chose to worship in the video café. Many people assumed that the video café would appeal mainly to young people, but people of all ages chose the café as their preferred worship venue. Some older adults appreciate having a table where they can lay their open Bibles and take sermon notes. In time, when both the worship center and video café were both at capacity during both services, Riverside added a third service. Seating capacity was only one of the challenges Riverside's building posed. There were traffic bottlenecks that would only get worse as attendance increased. Offices were scattered throughout the building, even on different floors, undermining efficiency and teamwork. One nursery was upstairs and the other downstairs with no place for secure check-in. The small classroom model the church was using for Christian education made poor use of both space and volunteers. The facility plan recommended by Living Stones and improved upon by the building contractor widened the main passageway upstairs; created a wide, straight stairway to the basement; created a state-of-the art nursery area; brought all the offices together; opened up rooms for large-group team teaching; and, of course, created the video café. A building that had originally been designed for single use—each space used for a single function with a single worship service—had been transformed into a multi-use facility, with the capacity to handle the increased traffic flow of multiple services in multiple venues. While all this cost was a fraction of the cost of a new building, it still required real money. Committed to paying cash for the remodel and also becoming debt-free, the church conducted a capital campaign, raising $1.4 million over three years. During the first year of the campaign, the church accelerated its mortgage payments, slashing interest expense. During the second year, because the mortgage was already paid ahead, Riverside used the pledges received to pay cash for the construction project. During the third year, the balance of the mortgage was paid off. During the past three years, Executive Pastor Skipp Machmer has led the congregation in developing a culture of generosity. The past two years, giving has exceeded the budget, this past year by $250,000. Now truly out of space, the church is preparing to launch a second campus. This will likely require some short-term debt, but the church is financially healthy enough today that it can do that without using funds needed for staffing and ministries. Riverside's most urgent staffing need was for an executive pastor. Pastor Tom is a gifted communicator, and his clear, practical sermons are powerful. But strategic planning and staff management are not his sweet spots. Tom needed an executive pastor to free him to focus on what he was called to do and to make it possible for the staff and congregation to continue to grow. An executive pastor was hired and a couple of years later, so was a community life pastor who gave leadership to the small-group ministry. Support staff roles were tweaked and other staff assignments reorganized, all with the eye to getting each staff member working in the areas where they were most gifted. Today, Riverside spends about 60 percent of its budget on staff—more than the average church spends—but this investment in staffing has been key to sustaining rapid growth through evangelism over the past decade. This investment in staffing would not have been possible if the church had still been using 10 percent of its budget to pay debt. Around 90 percent of churches in the U.S. and Canada are over-programmed. They operate so many programs that they are constantly struggling to recruit enough volunteers, people end up serving out of a sense of duty or guilt rather than call and many of the ministries are not done with excellence. The result is tired leaders, mediocre ministries and limited ministry impact. The liberating truth is that the fruitfulness of our ministry is greatest when we do fewer things with greater excellence. A few years into Riverside's "makeover," their children's ministry team discovered the power of this principle. When the national AWANA program made some programming changes a few years back, Riverside's AWANA leaders observed, "With these changes, AWANA is now going to be very similar to what we're already doing on Sunday mornings with our children." A basic principle of programming is that if you have two programs that are serving similar purposes, you will be more effective if you combine the programs and do an excellent job than if you try to maintain two programs and do a mediocre job. So at the suggestion of the AWANA leaders, Riverside combined its AWANA program with its children's church program, allowing the staff and all the children's ministry leaders to put their time and energy into creating a top-rate Sunday children's ministry. Today, the children's ministry at Riverside is more effective than ever at connecting with families with children. Most churches in the U.S. and Canada have three church-wide programs for children—Sunday school, children's church, and a weeknight program. In all the churches Living Stones has consulted with over 30-plus years, not one has said they are able to do an excellent job with all three programs. In fact, the churches that are known nationally for their excellent children's ministries—those that hold training events that people from all over the nation attend—these, like Riverside, have committed to doing one children's ministry program and doing it superbly. When it comes to ministry programs, less is more. Hilltop Urban Church in Wichita, Kansas, was facing challenges vastly different from those facing Riverside, but they were no less daunting. Hilltop's call was to serve the poor, multi-ethnic neighborhood that surrounded the church. For the 20 years of the church's life, white, middle-class, educated people from the suburbs had commuted to Hilltop to lead the church's ministries. They ministered and the neighborhood people received ministry and sometimes assisted the leaders. From the beginning, Pastor Dennis Hesselbarth's dream had been to raise up indigenous leaders from the neighborhood, but his dream had gone unfulfilled. Twenty years into the church's life, the original core group of suburban leaders was aging out. Some were forced to step back from ministry due to health issues. The writing on the wall was clear: Unless a new generation of leaders could be raised up, the church would be dead within 10 years. Seven years ago, the part-time children's director at Hilltop left the staff. In the past whenever this happened, the church would search for another paid children's director and help her raise missionary support to pay her salary. This time, though, Hilltop chose a different approach. One of the women from the neighborhood who had assisted with children's ministry was asked to pray about forming and leading a children's ministry team. Her first instinct was to say no, because she had never led anything before. But after praying, she felt she should say yes. She chose three other women, none of whom had led anything before, to join her team. A former children's director was assigned to coach the team, and they began meeting weekly to pray and think about the children's ministry they would launch in the fall. The pastor gave them guidelines within which to work, but within those guidelines, they were given great freedom to decide what to do, when and how. It was no surprise to the pastors (thought it might have been to the team) that the team put together an effective children's church ministry for the fall. What surprised everyone was to see the transformation that took place within the team members. A team member who would come to church and spend most of her time crying and hardly be able to hold a conversation because she was so distraught, within a couple of years became a lead teacher in children's church. Over the next few years, the children's ministry team hit so many home runs that they developed great confidence and took great pride in their team. Over the next four years, all the ministry programs at Hilltop transitioned to this team ministry approach, and ministry teams became the primary incubators for ministry leaders. The leaders discovered that the best way to raise up indigenous leaders is to get them onto a ministry team where they are fully engaged in designing and carrying out the ministries to which they are called. A key to making this possible is that every ministry team leader has a coach who is on call when the leader gets stuck. Because the coach provides on-the-job, just-in-time training, dependable people who have never led before can be successful leaders. The leaders came to call their old way of doing ministry Hilltop 1.0 and the new way Hilltop 2.0. In the five-year transition from Hilltop 1.0 to 2.0, about three-quarters of the existing ministry programs went away. They were replaced by much more relational ways of doing things, which included making house churches—Hilltop's version of deep-relationship small groups—the heart of everything they did. Seven years ago, none of the ministries at Hilltop were led by people from the culture of poverty. Today, about 80 percent of Hilltop's leaders are from the culture of poverty, and more life transformation is happening than ever before. Fewer programs, more fruit. One of the goals Hilltop has set in their transition from 1.0 to 2.0 is for the church to become financially self-sufficient in all their core ministries while continuing to be a channel for suburban churches and ministry partners to invest in the needs of the poor through compassion funds, scholarship funds and so on. Making progress toward this goal has required two shifts. First, many people who live in the culture of poverty have the mindset that they have nothing to give. The leaders have had to challenge this mindset, working to develop a culture of generosity even in the midst of poverty. Second, the church's old models of staffing and doing ministry, which depended primarily on outside funds paying for professional staff, has been replaced with a new model in which people from the local culture lead most of the ministries. Seven years ago, Hilltop attendees gave only about 30 percent of what was needed to meet the budget. Today, about 90 percent of Hilltop's core ministries are funded by the congregation. While Hilltop's attendance is about the same, there are far more frequent stories of changed lives and much greater excitement among the leaders than there were seven years ago. And this is happening on a budget only about one-third the size of the Hilltop 1.0 budget. Plus, there is the sense among the leaders that the church leadership core is becoming stronger. 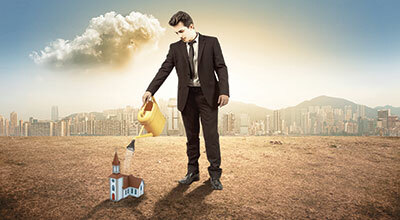 The church is poised for growth. Seven years ago, Hilltop had a full-time senior pastor, a full-time youth pastor and a quarter-time children's director. Today, the staff team is made up of six people, two of whom are paid part-time and four unpaid. Paid hours for ministry staff (support staff not included) have been reduced from 90 to 30 hours a week, appropriate for a church with attendance in the 50s. Hilltop will probably always rely primarily on unpaid staff made up of indigenous leaders. As the church grows, paid ministry staff may increase, but their primary role will not be to do ministry for people but rather to equip others to do ministry, to grow and coach ministry leaders. Hilltop is blessed to be debt-free. But while they have no mortgage, the cost of operating their building is a burden—utilities, insurance, maintenance and custodial salary. When the main building was built in 2000, Hilltop was a program-based church and the building was built to meet the needs of those programs. With Hilltop 2.0, most of those programs went away as more and more ministry moved out of the building and into people's homes. Hilltop's more-with-less building strategy has been to seek out ministry partners who share their mission to reach out to the Hilltop neighborhood and share space with them. Hilltop now rents space to a Spanish-speaking church and to a ministry serving victims of domestic violence. The church is exploring the possibility of sharing the building with another nearby church that already partners with them in multiple community outreaches. A Shared Ministry Team, made up of representatives of the three churches that share the building, works out practical issues related to sharing the building and explores possibilities for shared ministry. Riverside and Hilltop are two very different churches, but both find creative ways to do more ministry with fewer resources. Certainly, your church's situation is different from both of these, but these same principles can release your church to bear more fruit with less investment of money, space, time and people. Less effort, more fruitfulness. Why would you settle for anything less in your church? Eddy Hall joined the team of Living Stone Associates in 1996 and assumed the leadership in 2000. He also leads the staff team of Hilltop Urban Church, a multi-ethnic congregation in a low-income neighborhood in Wichita, Kansas. Which of the following statements are true for your church? Answer yes, no, or NA ("not applicable"). ___ 1. Big groups are in big rooms. Little groups are in little rooms. ___ 2. Our teaching methods maximize the use of space. ___ 3. All unused or underused rooms have been identified and put to full use. No rooms suitable for meeting are being used for storage. ___ 4. Most furniture is movable and arranged for maximum use of space. ___ 5. Classroom tables are lightweight, folding and adjustable in height, and easy to move and store. ___ 6. Worship chairs are comfortable, stackable, and easy to move and store. ___ 7. Every space possible has been made multi-use. ___ 8. We have at least three worship services. ___ 9. We have multiple sessions of Christian education. ___ 10. Some ministries are effectively conducted off-campus for less cost. ___ 11. Homes are used for small groups and other ministries. ___ 12. Buying adjacent houses or buildings for church use. ___ 13. Holding a simultaneous service in one or more video venues. ___ 14. Adding another worship site. Are You Financially Ready to Build? ___ 15. Our church is debt-free. ___ 16. We consistently meet our budget, fully funding our ministry and staffing needs. ___ 17. Our staffing budget reflects our commitment to staff for growth by hiring staff ahead of growth. ___ 18. Our budget includes 1 percent to 2 percent for equipping unpaid ministry leaders and team members. construction and future building operating costs so that none of the church's present ministry spending is diverted to building. ___ 20. The church now has enough in its provision fund to be able to pay cash or mostly cash for the proposed building program. implementing. Each no answer points to another opportunity to do more with less. If you answered yes to statements 15 through 18, your church is financially healthy. By taking the steps described in statements 19 and 20, you should be financially ready to build within a few years. Adapted from The More-with-Less Church by Eddy Hall, Ray Bowman and J. Skipp Machmer (Baker, 2014). Used by permission.